But as theatre-trained Meghan briefly reconnected with her acting past, a return to her former television series “Suits” was all but ruled out by the show’s creator. 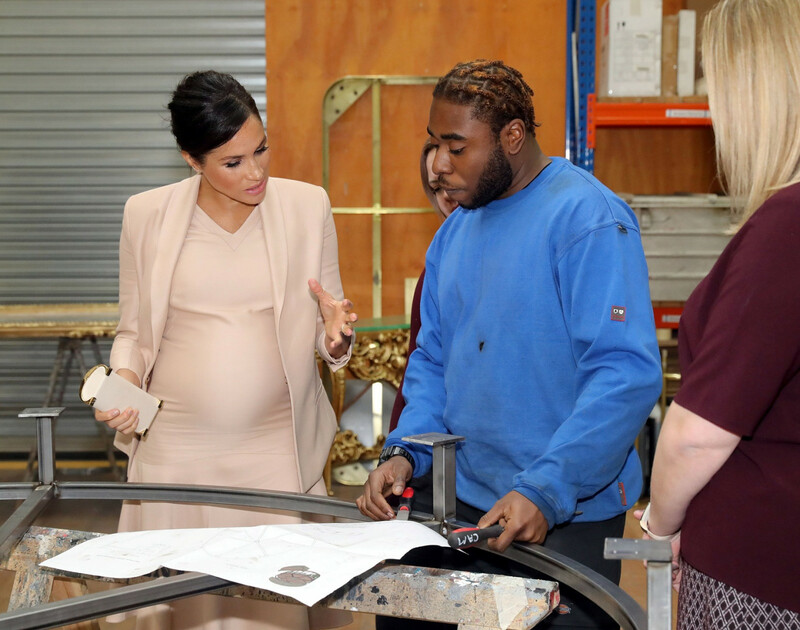 Meghan, in a pale pink dress and jacket, met apprentices and staff working with arts and community organisations before being treated to a line-run of a new musical version of “Pericles”. The pregnant 37-year-old trained in theatre but gained prominence for her television work. Before her romance with Prince Harry was announced, the then Meghan Markle was best known for playing Rachel Zane in U.S. legal drama “Suits”, a role she quit ahead of her marriage in May. Fans had wondered whether she might ever return to the show - even for a cameo in the final season - but on Tuesday “Suits” creator and executive producer Aaron Korsh told a Television Critics Association meeting in California that this was highly unlikely. “We’re not currently pursuing asking Meghan Markle to leave her position with the royal family and join us,” Korsh was quoted as saying by website Entertainment Tonight. While Meghan was at the theatre, her husband attended a Commonwealth Youth Roundtable discussion.